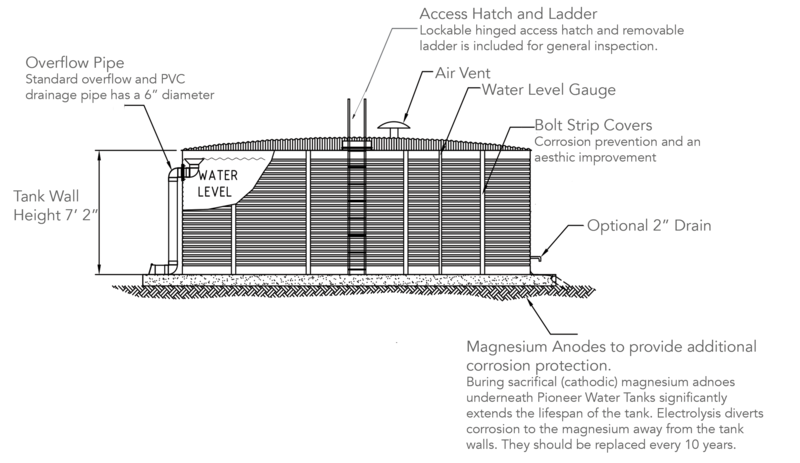 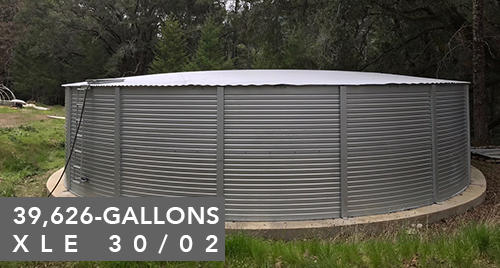 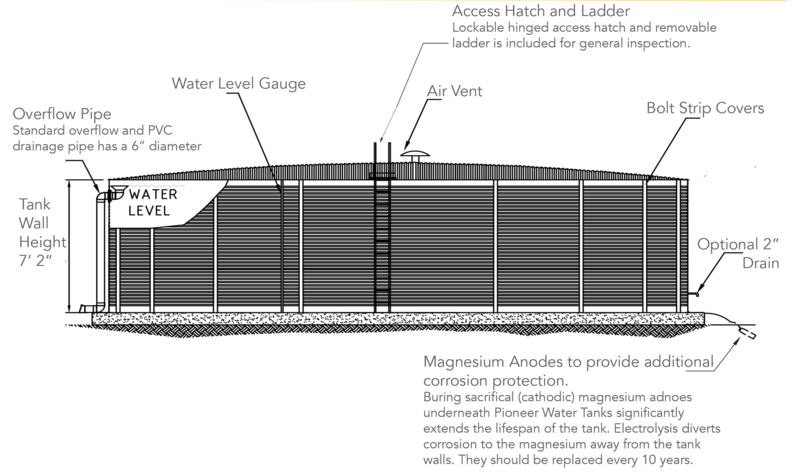 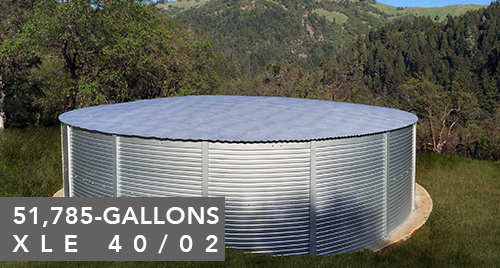 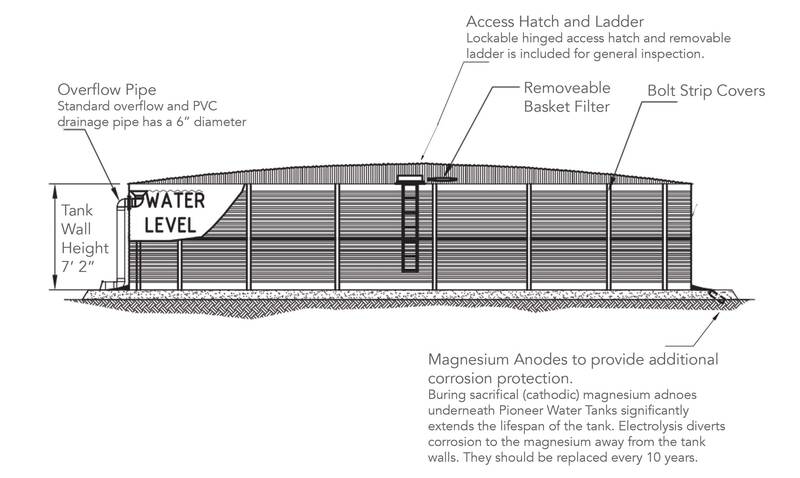 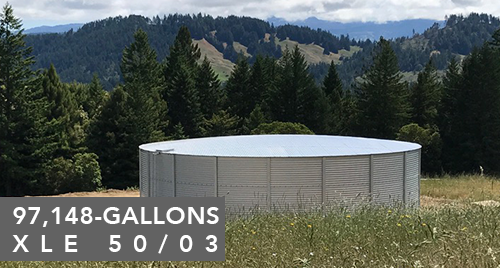 We offer a standard and custom water tank capacitiy models of Pioneer Water Tanks. 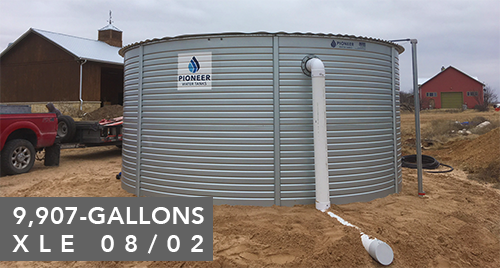 We keep standard Pioneer Water Tanks on hand for delivery and installation. 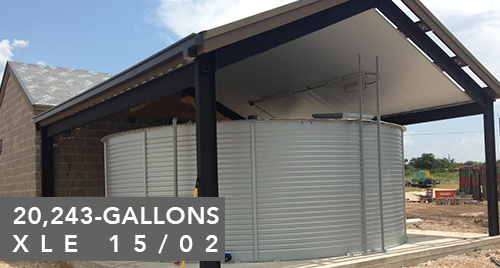 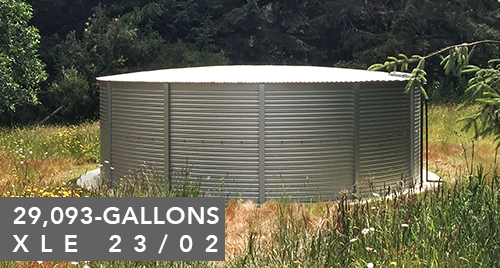 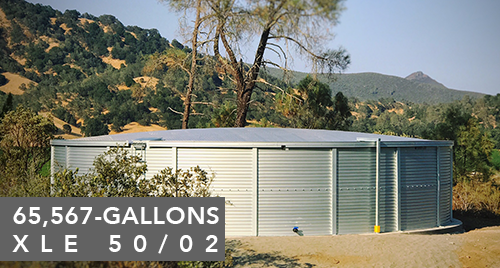 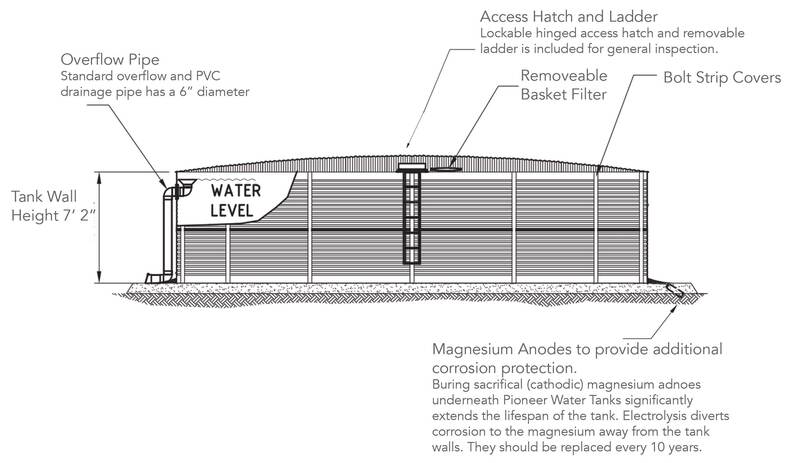 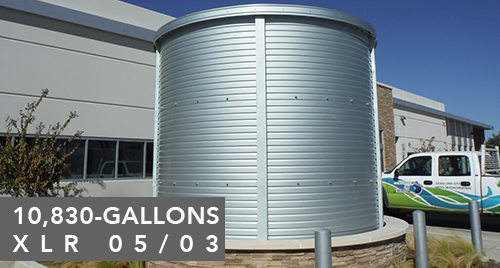 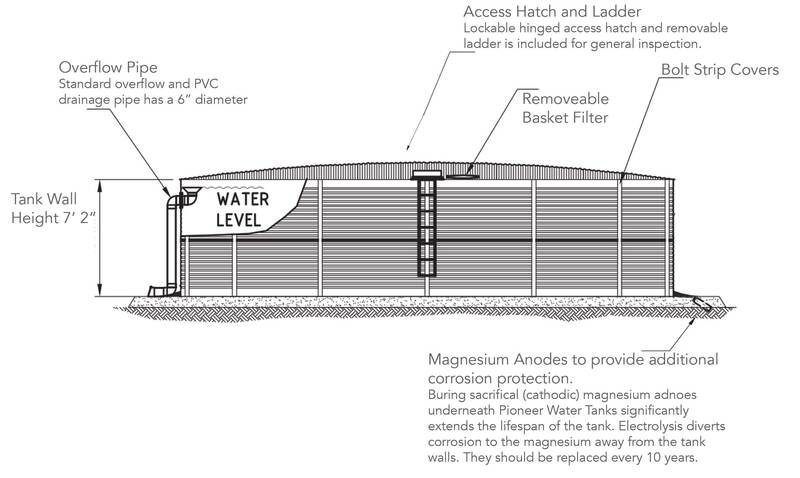 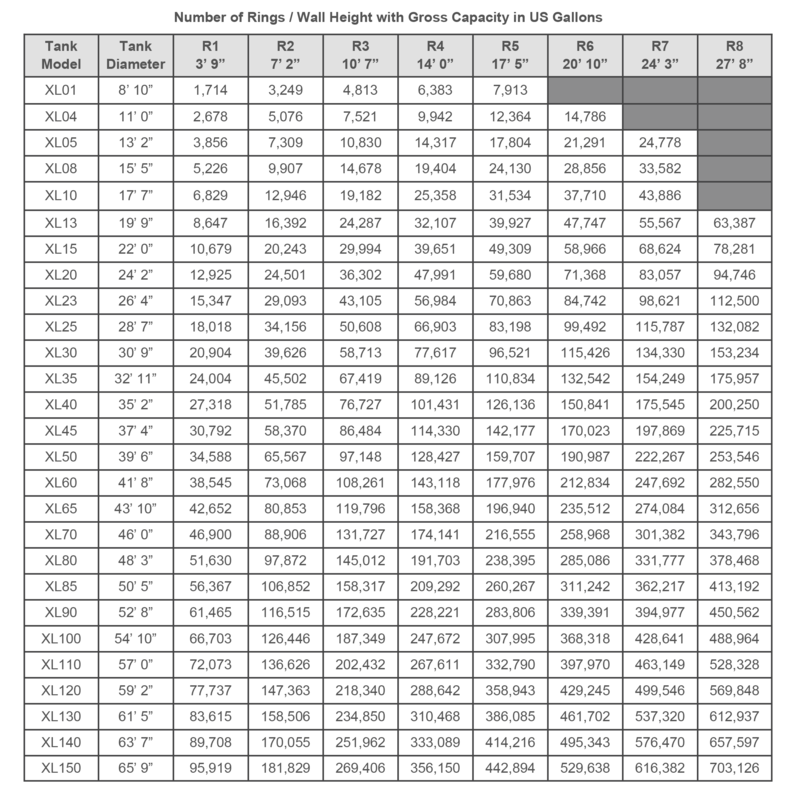 Non-standard tank sizes require a 90-120 day lead time. 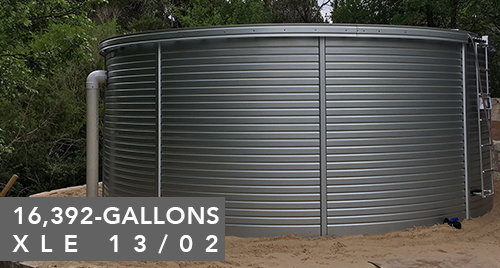 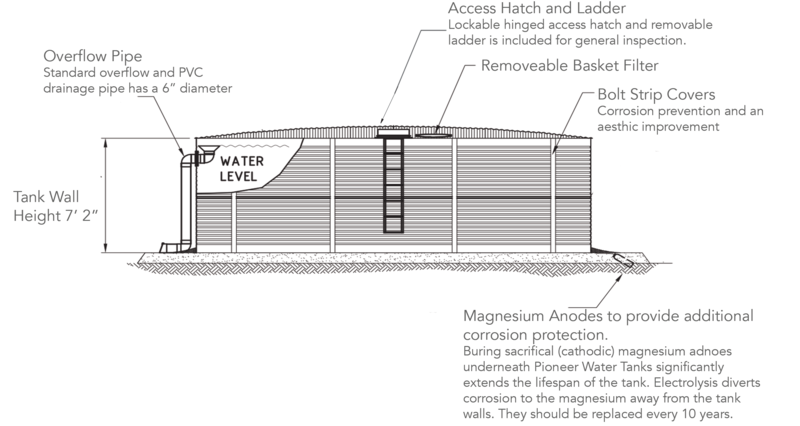 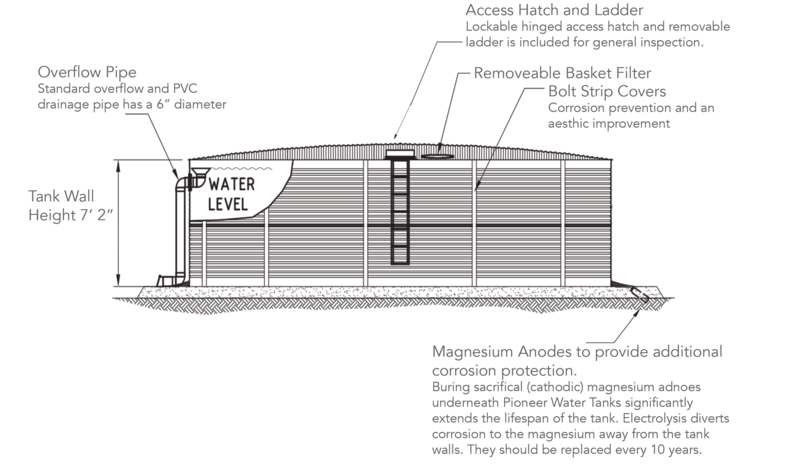 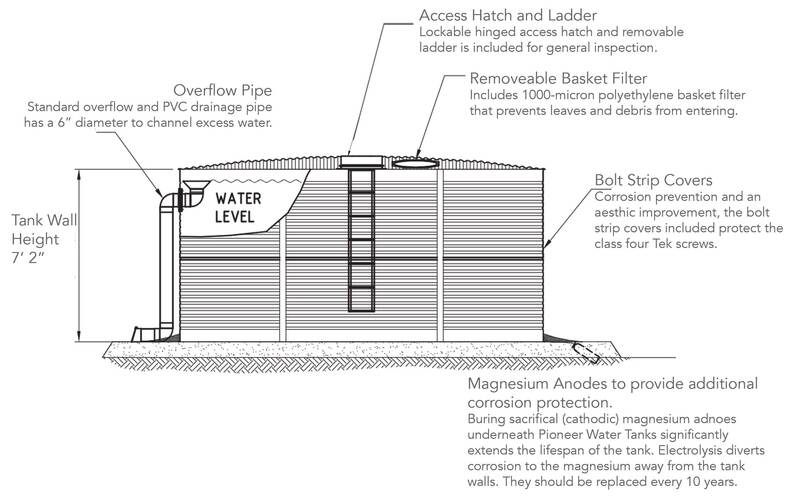 The following chart is the full range of Pioneer Water Tanks that we can supply for your project.